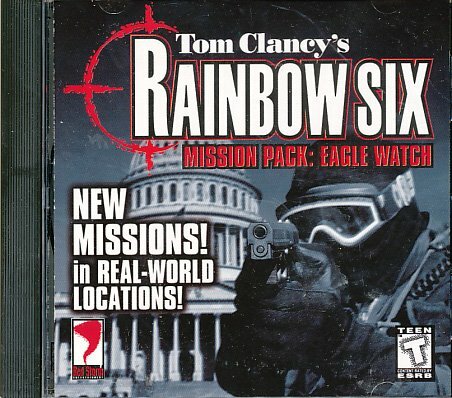 Rainbow Six is once again called into action! Terrorist threats have increased around the world, and this time, they are attacking the world's most famous places. The Taj Mahal, Big Ben, the Forbidden City, the Senate Wing of the U.S. Capitol, and a top-secret Russian shuttle are all in danger! Use the full "watch" mode to simply observe your hostage rescue team taking down terrorists, or play your friends with the new multiplayer games! Choose from four new operatives, such as Louis Loiselle, pulled directly from Tom Clancy's bestselling novel.